What would it feel like to step up to a podium to read a speech by Dr. Martin Luther King Jr.? Ever wanted to learn to sew a quilt or blow glass? What artists are continuing the important work of MLK today? Experience all of this and much more, as community organizations and cultural venues across the city team up to present inspiring performances and activities — many of them free — celebrating the life and legacy of the civil rights leader. Check out these five terrific places where families can spend the MLK holiday in Pittsburgh. Friday, January 18, 8 p.m. This special night of spoken word, music and activism will showcase artists from NYC, Los Angeles, Washington, D.C. and Pittsburgh who will present contemporary works inspired by the legacy of MLK. Featured award-winning poets include Mahogany L. Browne, Jessica Care Moore and Prentice Powell. Buy tickets. Kids will explore the concept of forgiveness through writing, art and gardening activities, try out instruments with jazz musician Lee Robinson, step up to the mic to read one of Dr. King’s speeches with SLB Radio, learn quilting techniques, paint their own self-portrait and more! This year’s bash features activities for all ages, including a celebration crown decorating station, scavenger hunt, cookie table and toe-tapping tunes from DJ Dave Zak. Families can also check out a pop-up display of the Children’s Museum’s XOXO: A Project About Love & Forgiveness. This long-running intergenerational event brings together family-friendly activities and inspiring performances from local artists that highlight MLK’s community-based activism. Share a message of hope on the #CollectiveVoicesPgh interactive wall, participate in crafting, educational and social justice activities led by numerous organizations and enjoy vibrant live music and dance performances. 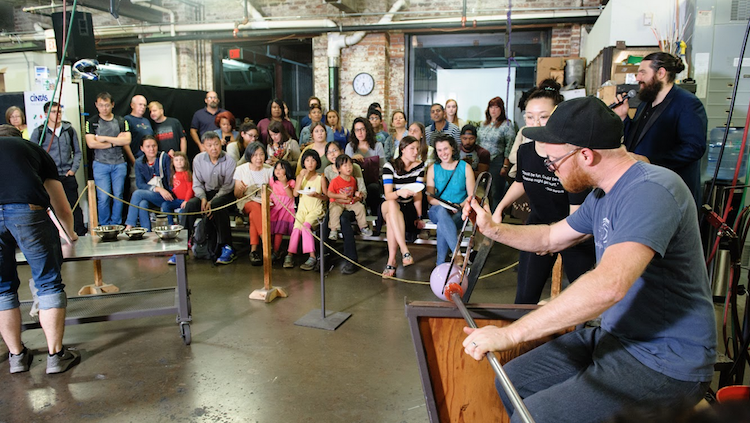 Enjoy hands-on activities that demonstrate the importance of teamwork in the creative process and watch exciting glassblowing demonstrations throughout the day. Families can also swing by the Mecca of Kulture & Art (MOKA) located at 2291 Centre Avenue to help build mosaics. The post 5 creative ways families can celebrate MLK Day in Pittsburgh appeared first on NEXTpittsburgh. ← Previous How will Downtown Pittsburgh change in 2019? Here’s what came up at today’s development forum.